Comfy, fully adjustable. 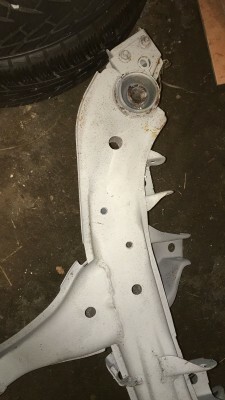 Fronts were refurbished last year, barely used. I assume front top mounts need attention, something has movement upfront. One of the rear coils seems to start failing. However cheap option for drift/track. 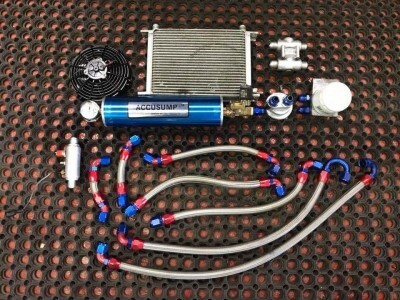 Responds to adjustments and holds/dampens car nicely. No leaks. 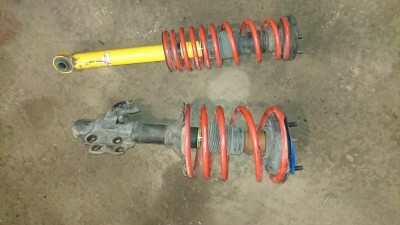 S13 diff (vlsd) - sold for forum member. 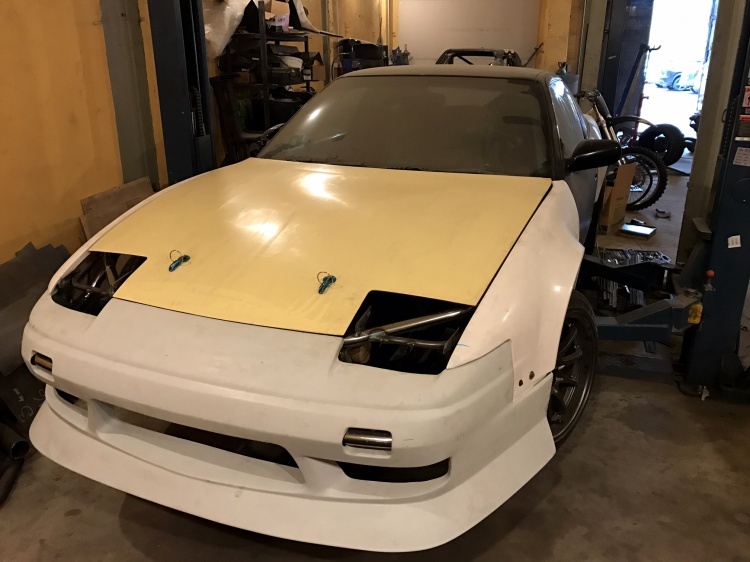 Needs prep and respray, without lip. 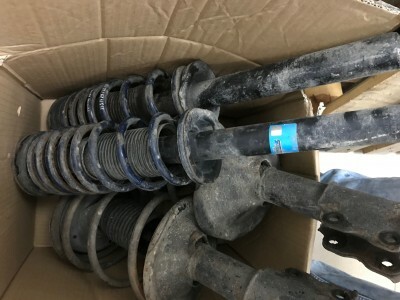 All parts are in Klaipeda, Lithuania. Postage on buyers expense. 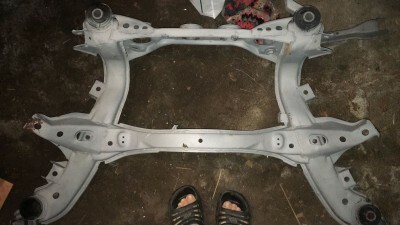 S14 rear subframe, nostruklots, bet nav krāsots. Cena - par 70e iegādājos, šodienas tirgu nezinu, tāpēc arī cenu variet piedāvāt. 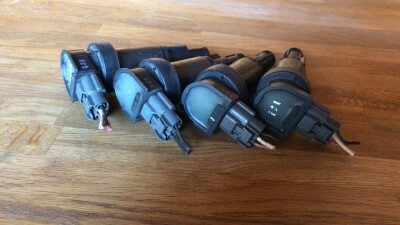 For sale Sr20det coilpacks with connectors 40eur. 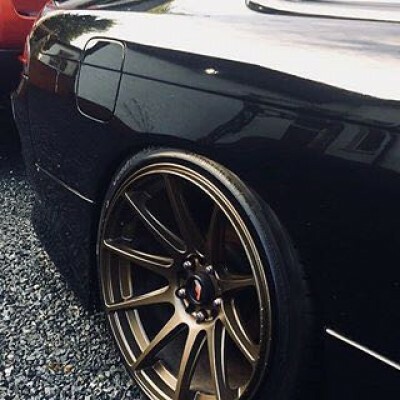 Rota torque R17x9.5 ET12, 5x114.3 for sale. 480EUR. Two in bronze, two gun metal. 3) s13 amīši(boge) ar h&r(zilajām) atsperēm- nez 40 eur ? 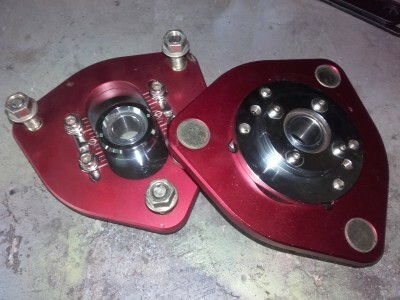 Price 250€ without camber plates. 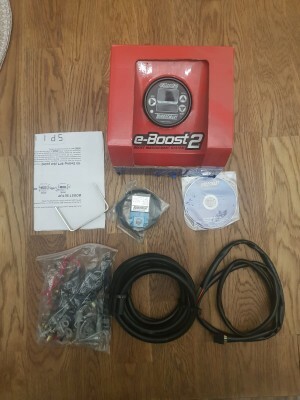 Vehicle: BMW 320 m52tub28 swap.